# 32 John Madigan ? # 73 Steve Forsell ? 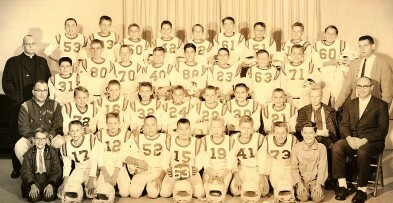 Coaches on right are Tom Coil, standing, & Ray Core, sitting.